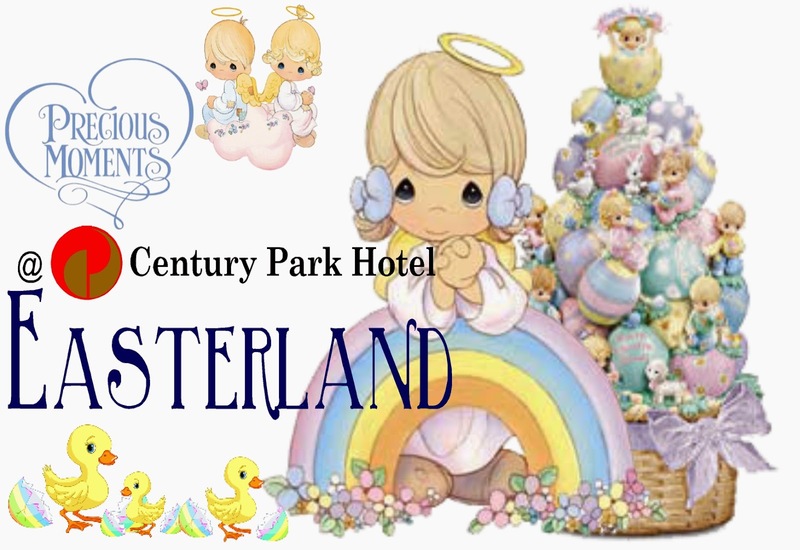 Two of my favorite names will be making more meaning to Easter this year- Precious Moments and Century Park Hotel. Mark your calendars as Century Park Hotel turns your Easter moments into a precious celebration. Rejoice with fellow parents and kids in a fun-filled day on April 5, 2015 from 9 am to 1 pm at the Grand Ballroom. It's time to bring your kids, heck, why not the whole family and wander in a land full of exciting activities like interactive games, coloring contest, face painting, mascot dance, enchanting magic show and the traditional egg hunting. Enter Easterland and get a chance to win raffle prizes and bring home bag of give-aways from their participating sponsors – Trolli, Asia Brewery, Chips Delight, Happee Toothpaste, HBW, Lemon Square, Leslie’s, Lotte, Manila Bulletin, Miramar Confectionary Corp., Oishi, Toy Kingdom, Yakult, Mentos, Fun Ranch, Jack ‘n Jill, Farm House, Pizza Pedrico’s, Aficionado, J.Co Donuts and Coffee, Enchanted Kingdom and Star City.